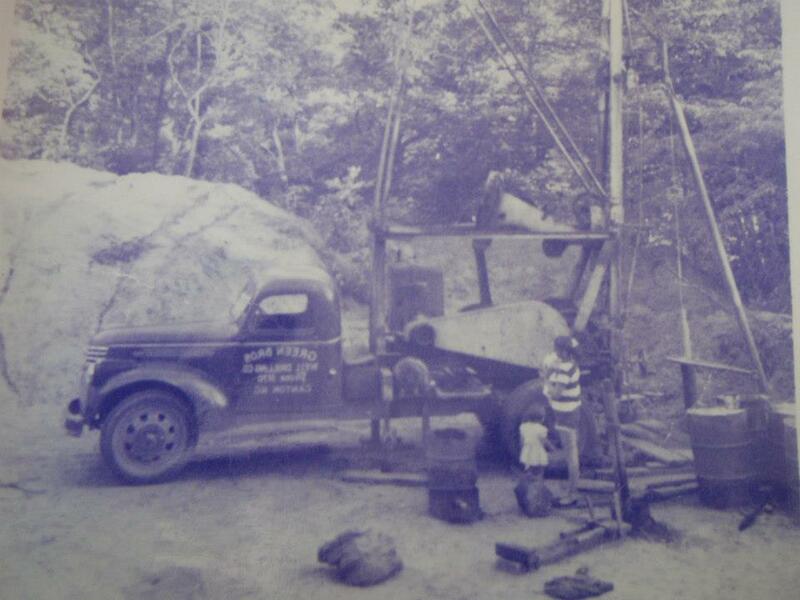 Greene Brothers Well & Pump Inc. has proudly served the well and pump needs of Western North Carolina since 1945. At that time Boyce Tillman Greene Sr. and Raymond Greene were using churn drills to pull water from the ground. Production was much slower at less than 20 feet per day. The Tanker Truck was a pickup with a 55 gallon barrel filled with water and a fence post was put in the barrel to reduce spillage. Instead of chains and binders to secure pipe, chains and a dogwood pole did the trick. Every Friday night was spent sharpening bits. An oil fired brick furnace was used to get the bits red hot then they were hammered back into shape for the next weeks work. Boyce and Freda Greene have five children, three boys and two girls. BT, Boyce Tillman Jr. went right into the family business. WT, William Thomas went into the army for a period and realized home wasn’t all that bad. WT and BT worked together but in separate towns for more than three decades. Once their children began to get older they decided to split assets. WT has two sons Bryan and Travis who operate Greene Brothers Well & Pump in Canton NC. BT with his two daughters and their husbands operate AAA Greene Brothers in Sylva NC. Even though we are separate companies we are still family and will always help one another in a time of need. When you call Greene Brothers Well & Pump in Canton today Retha, daughter of Boyce Sr. will most likely answer the phone and Bryan or Travis will be available to help you. The company has remained in the Greene family for three generations. Greene Brothers Well and Pump offers a variety of services including: Water Well Drilling, HVAC Geothermal Drilling, Pump System installation and repairs. Also Greene Brothers now offers Hand pump & Solar-powered Pump System installation. Greene Brothers provides on-call service on weekends. We offer free on site estimates for new wells or new pump systems of all kinds. Unfortunately the depth of a new well is difficult to predict. The most valuable information you could gather would the depths and gpm of neighboring wells to give you an estimated depth. The cost of a well and the pump system will change depending on the depth and gpm of the well. Geothermal drilling is straight forward. The HVAC contractor will determine the depth and number of bore holes necessary so that the price can be determined. Our certified technicians install new pump systems (including manual and solar systems) as well as performing service and repairs to existing systems. We are always happy to help our “Do it yourself” customers over the phone. It’s not easy to go without water so we do everything in our power to arrive for a repair the same day and stay late if necessary to get the well operating. Normal operating hours are Monday-Friday 8:00AM – 5:00PM. Weekend service available. Green Brothers Well & Pump Inc. works with a filtration company American Water Care. We refer all filtration work beyond simple sediment problems to them.